I haven’t been posting much lately, this is because of something that happened on Tuesday Feb 4th. Here is a link to a couple of newspaper articles. 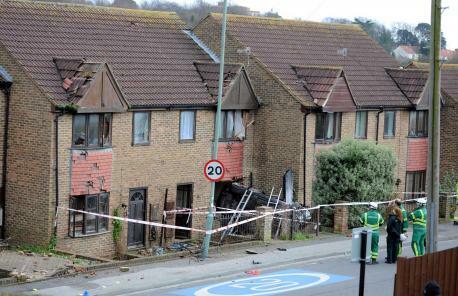 My house is the one with the roof tiles and windows blown out, to the left of the one with the car in the front room. I was in my front room, and am unhurt, just shaken up. My home is now boarded up, I was allowed back in to get some things after a couple of days. My children are looking after me, I’m staying in Flitwick, Bedfordshire with my daughter and son-in-law. I only just felt able to get online, and just wanted to let you know I’m still alive 🙂 I’ll be back soon, it’ll take more than this to keep me down. 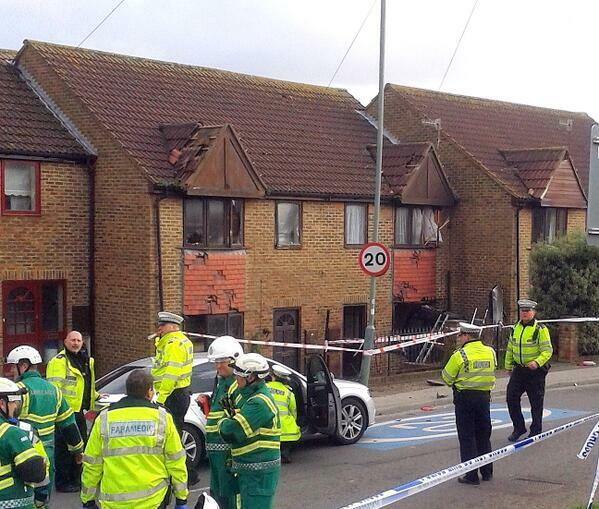 This entry was posted in Beginning life in Hove and tagged car crash, Portslade. Bookmark the permalink. Glad you are ok. Stay strong! Take care and hopefully your house will be fixed up soon. Jackie, is that your house?! I hope you and yours are ok!!! !